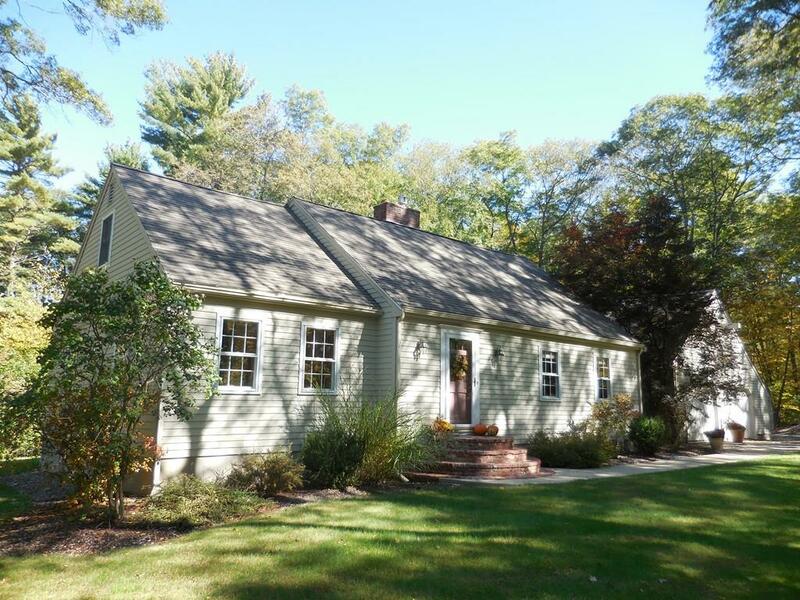 Country Cape sited on a private 1 Acre wooded lot. Lovingly cared for and tastefully updated this home is ready for its next owner. As you enter through the front door into a cozy den with lots of natural light and vaulted ceiling, the feeling is welcoming. Take a few steps up to the dinning/kitchen area, the heart of this home. Relax by a fire in the spacious Living room and two extra rooms on the first floor can be used as an office and bedroom or a guest suite. The Master bedroom with an en-suite bath and two additional bedroom and family bath are located on the second floor. Spread out to the game room and exercise room in the lower level. Already installed is a new 5 bedroom septic. Oh and a two car garage. Come see this before it’s gone.